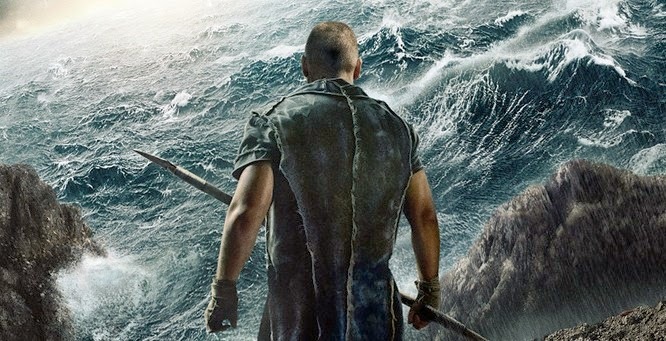 The Biblical epic movie Noah, easily took the top spot at the box office this weekend ($44 million). As for Ah-nold... Schwarzenegger that is... his return to movies haven't been all that successful as Sabotage barely cracked 7th place for a paltry $5.3 million opener. In other news, Captain America: The Winter Soldier crushed the overseas market with $75.2 million... a week before it's set to hit theaters stateside. And in other news, Frozen ($1,072.4 million) is now the highest grossing animation worldwide in history as it passed Toy Story 3's $1,063.2 million.